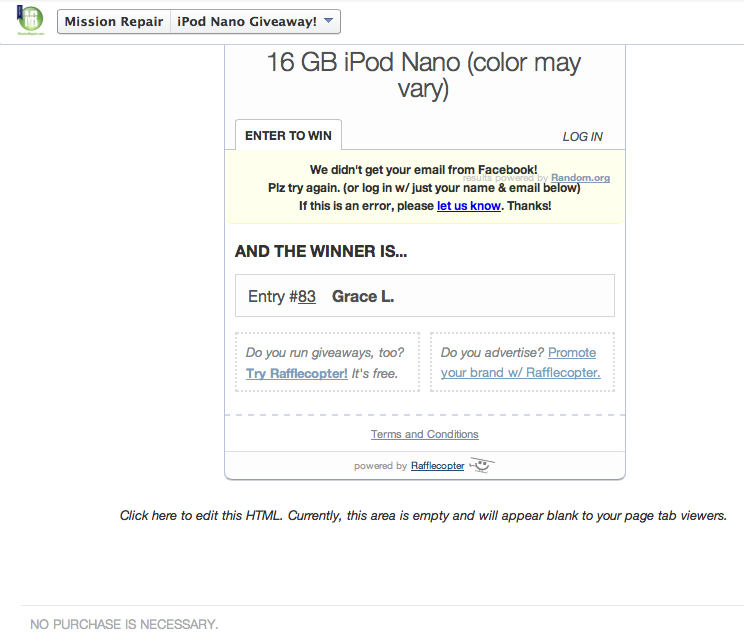 Our winner is Grace L. and we have have sent her a brand spanking new 16GB iPod Nano in the color of her choice, which she has received today! I understand that entering a giveaway can be scary. You never know if the information you are giving out is secure and what kind of emails will be hitting your in box after you press the “enter” button. Worse yet, you never win. But this was a REAL, pure, unadulterated giveaway for our customers and Facebook fans and we really enjoyed it! So congratulations Grace and look out people, the next giveaway is right around the corner! We have offered a screen replacement service on the iPod Nano 6 since its release. 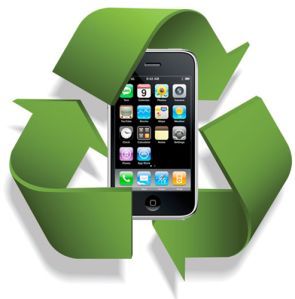 It has really been a great device over the years for many people and myself included. I actually use one as a watch and one in my car as my on-board music player. There is no need for a cd player or AUX jack when you have a tape deck! Did you know that the nano 6 is the first and only iPod to make the transition from the “Chick-Wheel” to “Touch Screen”? Yep, from here on out, you will never see another iPod Nano released without touch screen controls. Though the iPod Nano 6 is a generation old (In tech terms, not 18-20 years), there are still MILLIONS out there being used and enjoyed. For this very reason, we keep them at the front of our minds. With that, the front of out minds are saying “We charge too dang much for this service” so being the obedient people that we are, we listened to ourselves and lowered the price! Starting today, you can have your iPod Nano 6 screen replaced for the LOW cost of $49.00! This is a $20.00 price slash that should make it more reasonable for you to repair instead of replace. That is what we are all about here at Mission Repair! Keep it out of those land fills, save some cash and save those settings! Someone said it was Friday? Sheesh, I have loads of work to do before I can start my weekend and it’s already 3:00pm…gulp :-). So this is where I will leave you. I hope everyone has a great weekend! iPod Nano 7 Cracked Screen? Yeah We Do That! This poor little iPod Nano 7 is another victim of gravity. It is hard to believe that something so small and light could succumb to the dreaded cracked screen, but as you can see, gravity knows no size or weight. Our solution is the 7th Generation iPod Nano Front Glass, Touch Digitizer & LCD Screen Repair service! We can have your iPod Nano 7 back to normal in no time and with our free shipping option and GotRepair benefit, how could there be a more intelligent out there? So if you find yourself carrying around an iPod nano 7 that looks like the first example above, send her on in and we will get it repaired in no time! We are going to have a wonderful week here at Mission Repair and I wish the same for you. There is a lot to to talk about today and I wanted to start with something familiar, yet awesome. Its this weeks “Deal Of The Week”! The 6th Generation iPod Nano has been a staple at Mission Repair for some time now. It’s great looking nano with touch screen capability and it makes an awesome watch! What more could you ask for? We love this little device and hope to be repairing it for years to come. You can thank Jake for pitching this deal to me! So what do you receive with this deal? How does a 29% savings sound? I know, pretty dang good! So this is a good time to finally get that Nano 6 in the bottom drawer repaired, so hurry before the week is up (You and I both know how fast the weeks go by nowadays)! You know the drill – You can place your order here: 6th Generation iPod Nano Front Glass, Touch Digitizer & LCD Screen Repair OR call 866-638-8402 OR email sales@missionrepair.com to get your order started this very nano second! We are fresh off of Apple’s media event and we are salivating! Apple has released 3 new iDevices that I wanted to quickly look at. 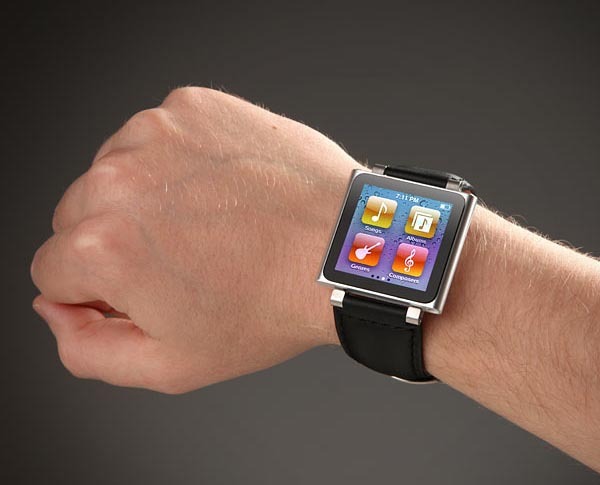 iPod Nano – This is not my favorite design, but it’s growing on me. Apple is giving no choice of capacity. It’s now 16GB or bust for the new Nano (Should we call it the Nano 7?). A completely new feature of the Nano 7 is the home button. Many people are alluding to Apple ridding itself of the home button, but this goes to show you that the home button is here to stay… for awhile. I love the bluetooth feature and it might be THE feature that suckers me into buying one. To top off the new features, it comes with the new “Lightning” plug which we will talk about more in a moment. 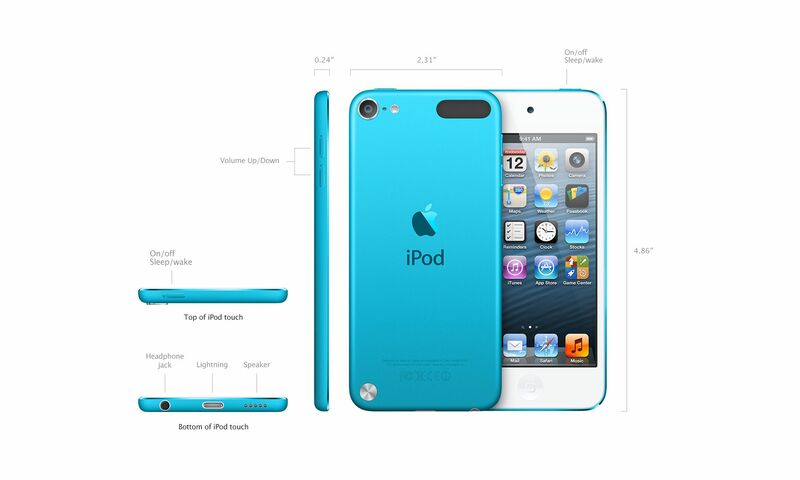 iPod Touch – I am thoroughly in love with the new design of the new iPod Touch (Touch 5?). It had me at hello! The new case design is like a Picasso. The last time I felt this way about a new product release was when the first iPod nano was released. I must be the first person that I know to own one of these! I have to also mention the loop. This, I think is more of a feature that will appeal to the female gender. My wife is obsessed with wristlet purses and this is right up that alley . I know the objective behind it is giving it a point-and-shoot camera feel, but mark my words, the ladies will love this and you WILL see it as a feature on the iPhone some day. iPhone 5- Last but not least, the iPhone 5! As soon as I saw the black on black color scheme, nothing else mattered. I don’t care about the brilliant casing, the awesome 4″ retina display, the blazing LTE connectivity speeds, the A6 processor or the improved wifi capability. NO, All I want is the black on black! This too comes the new “Lightning” plug. I know this has already stirred up some drama amongst some current Apple customers, but I welcome it and in my opinion, you should too. For years the 30-pin plug has been unstable and has caused our customers heartache. It is very easy to damage a dock connector with the 30-pin plug. I liken the 30-pin to the connectors on the old iBooks and Powerbooks. Look at this as like a Magsafe type upgrade:-). Well, these are my thoughts on the new, shiny hardware Apple just announced. I would love to hear yours! 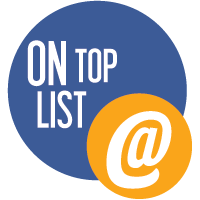 Email me at Troy@missionrepair.com and lets discuss:-) We will be announcing our repair programs very soon for these new products so keep checking back!